My parents are new to NPR. Special thanks to Robert Krulwich for his generous write-up on Krulwich Wonders last week and to everyone for reading. 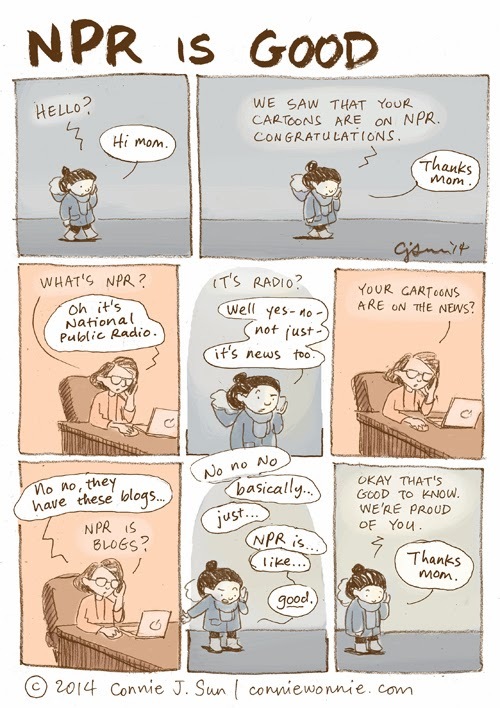 Congrats on making it to NPR, Connie! Your work is awesome. You deserve the national accolades. Super grats! I found your site through NPR. I also found your site through NPR's Radio Lab. Your awesome! 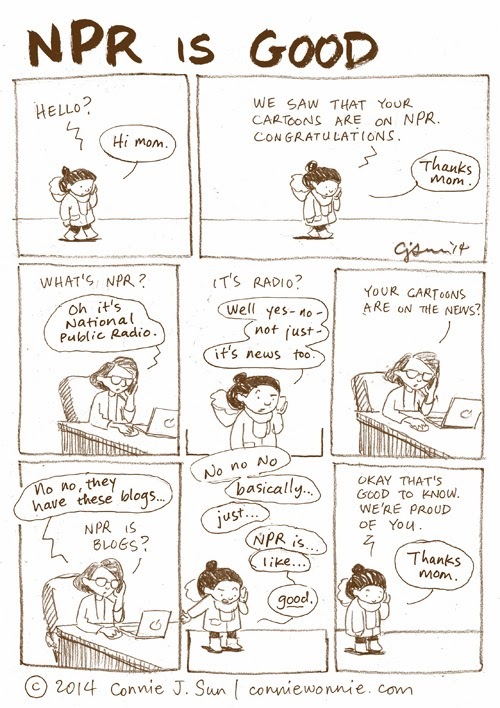 One more person here who found your work thanks to NPR. I like the light tone of your work. Keep it up! found your blog thru radiolab too! your comics are great! honest, funny, relatable. but how do you "like" things on blogger? put up a tumblr too!